It can be surprise, shock or anxiety when women miss their periods on birth control pills. If the period is missed for over six weeks, then it is considered as amenorrhea. It does not necessarily mean that the woman has conceived or that she is pregnant. There can be many reasons for missed period on birth control. Am I Pregnant If I Miss My Period on Birth Control? If you have missed period but have not missed taking any pill and do not exhibit breast tenderness, frequent urination, fatigue, nausea or vomiting, there is very little chance of being pregnant. If you have any of signs above, take a home pregnancy test. If you have missed two periods in row, consult your doctor despite being on the pill regularly without missing any. Continue taking the pill as long as the result of pregnancy test is negative, otherwise you can risk a chance of being pregnant. You should stop the pill only if advised by the doctor. If you have missed taking the pill once or more and then you miss your periods, you should take home pregnancy test at the earliest. If the test comes back positive, you should discontinue the pills and consult your doctor about the results. 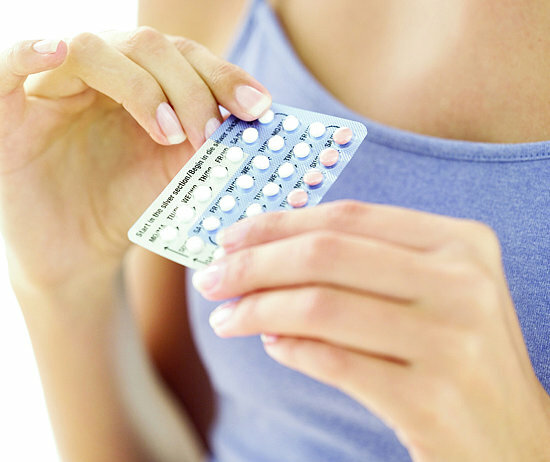 Birth control pills contain hormones which can suppress the periods. Some pills cause the periods to pause for a certain period of time such as Lybrel and Seasonale. You can change your pills by consulting a doctor to get back to regular menstruation. Significant hormonal misfiring in women under 40 year old may indicate premature menopause. Its symptoms include hot flashes, vaginal dryness, night sweats besides missing periods. When female athletes undergo training or include long term of exercise in their lifestyle, it can affect the menstrual cycle. Emotional stress can also lead to changes in the period cycle and amenorrhea. There are some illnesses which can cause missed period on birth control, including thyroid disorders, false pregnancy, tumors, depression, eating disorder, ovarian cysts, cystic fibrosis and kidney disease. To rule out the illness, a checkup should be done if two periods are missed. Some medications interfere with the menstrual cycle, such as steroids taken orally, anti-depressants, anti-psychotics and chemotherapy etc. These medicines can cause amenorrhea and you should consult doctor to get a confirmation. It is rare to get pregnant while being on birth control pills. However, it can happen to a small percentage of women who has missed taking a pill or hasn’t followed the instructions on the package. Start the pill on the Sunday that comes after your period has begun. For the first month, ensure you have a backup contraceptive method. Finish the entire pack and start a new one, do not skip any days in between. Pills should be taken at the same time every day. Back up method should be used if you take the pill late by four hours. If a pill is missed, take it when you remember and the one which is to be taken as scheduled. Back-up method should be used till next pack is started. If two pills are missed, take them when you remember and follow with two pills the next day, use back-up method. If three pills are missed in a row, back-up method has to be used. Start with a new pack on the Sunday which follows. Back up method has to be followed for the month and the next cycle as well. Even if you experience missed period on birth control or slight spotting, continue taking the pills. If you feel sick, experience vomiting and diarrhea after taking the pill, consult your doctor to change the pill. If you visit any doctor for other reasons, you must inform them about the birth control pills you are taking. Certain concomitant medications can reduce the effectivity of birth control pills. In such a scenario, you need to ask your doctor if you have to use back-up method.